Living at The Edge at Norman gets you your own private bedroom, full bathroom, and large walk-in closet all within a comfortable open floor plan with great apartment amenities. We simplify your life by providing a one check convenience of an All-Inclusive Monthly Payment and the protection of an Individual Lease. Our environment gives students the privacy they require to succeed, with the lifestyle and amenities they desire. our all-inclusive rental includes all the best amenities. 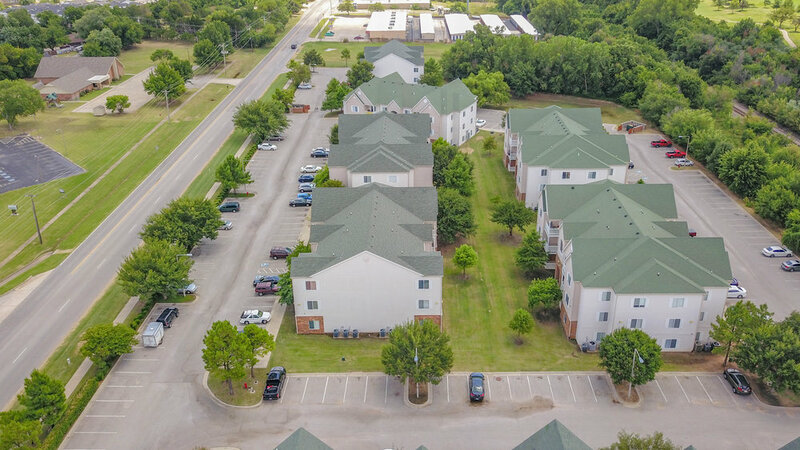 The Edge at Norman Apartments offers plenty of parking for all residents and their guests. 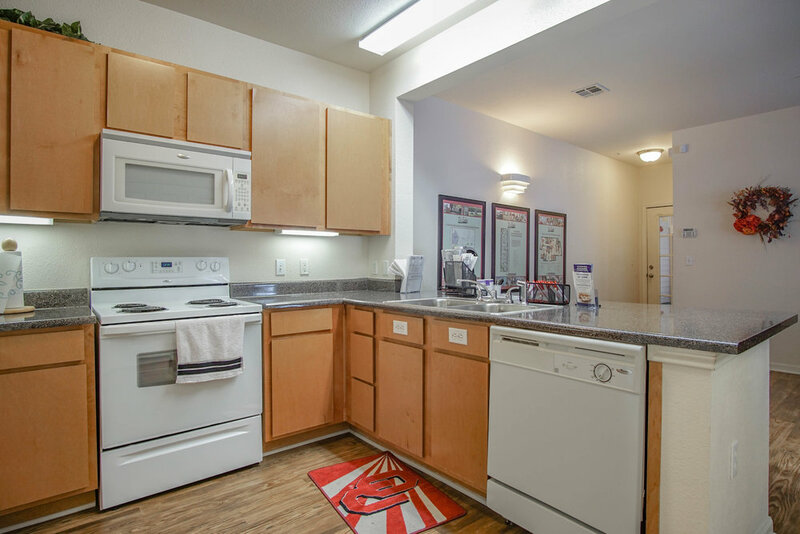 Located walking distance to campus, these apartments have everything you need to feel right at home. Inside The Edge at Norman Apartments, there is an open-concept and spacious living area directly off the kitchen. 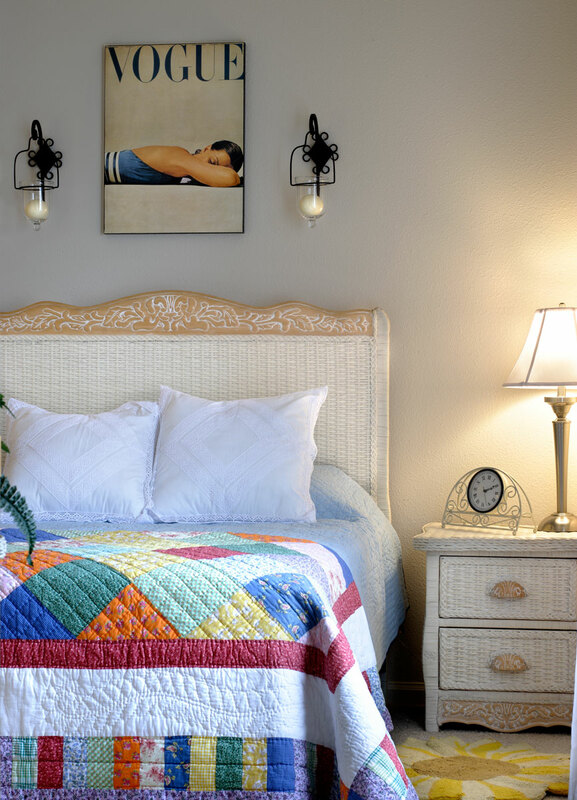 Make this living space your own in our large bedroom which comes furnished and has a large walk-in closet. The Edge at Norman pool area includes a hot tub as well as access to a basketball court and sand volleyball court. Each bedroom at the Edge includes a private full bathroom, give you your own space and privacy. The Edge at Norman offers Sooners individually leased bedrooms in 4 bedroom apartments with All-Inclusive Monthly Payment. The Edge at Norman offers Sooners a number of ways to unwind after a long day of classes: work up a sweat in our 24-hour fitness center, cool off in the private pool, join some friends for an impromptu volleyball match, or just hang out and watch your neighbors battle it out on the basketball court! Located between the volleyball and basketball courts, the pool at The Edge is the perfect place to relax on a hot summer day. You can also warm up in the hot tub on a chilly night. Our amenities include a full gym easily accessible from all units. Work out and get in shape with neighbors at the Edge's gym. The Edge at Norman offers fully furnished bedrooms to make apartment living easier for students. Our spacious living room place at the Edge provides residents with plenty of room to study or enjoy their free time. All apartments come with a spacious kitchen area that includes modern appliances such as a microwave, dishwasher, oven and refrigerator. At the Edge at Norman, residents are able to enjoy a large pool and hot tub area, all centrally located. Located at the edge of campus, The Edge at Norman offers the convenience of living on-campus with the freedom and value of off-campus apartment living. Download and complete our application and guarantor form to start the approval process. You can complete the form online and print your documents when you're ready. You can either email your completed forms to info@edgenorman.com, fax to 405-321-2406, or deliver to 2200 Classen Blvd. #8111, Norman OK 73071. Enjoy the amenities offered at the Edge like the full-sized outdoor basketball court, perfect for enjoying the outdoors. Our gym comes equipped with a collection of cardio machines, free weights and more. It’s centrally located and available 24-hours with a code-locked door. 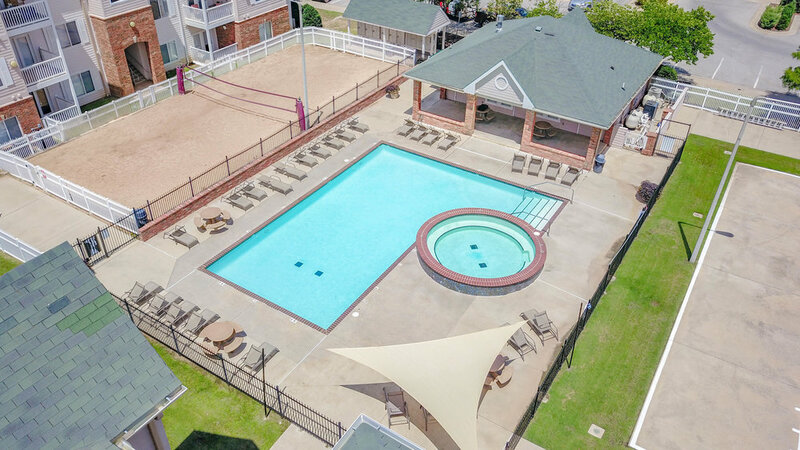 Keep cool during Norman's warm months at the complex's pool, conveniently located next to the complex gym.